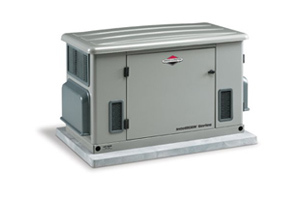 We carry one of the best and most reliable names in the industry for our Home Generator Systems: Briggs & Stratton. Take charge before the power goes out! Even a short power outage leaves you without the comforts we all take for granted. We rely on electricity more than ever, but it doesn’t take much for power to be disrupted. 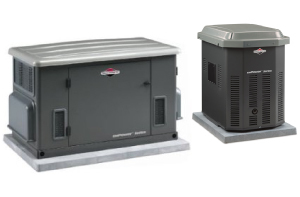 We offer a full range of home generator systems, derived from nearly a decade of consumer power expertise from Briggs & Stratton. Our permanently installed home generator systems deliver the practical innovative features and reliable performance that people expect. The EmPower Series from Briggs & Stratton is a true workhorse, offering exceptional value with a full range of systems to meet your power needs and budget. The IntelliGEN Series efficiently manages the same essential and high wattage appliances as a liquid cooled standby generator nearly twice its size while using up to 50% less fuel – all for nearly half the cost.